Recently during Bible study, “Gideon” by Priscilla Shirer, I read this. “Passion doesn’t negate weariness. It just resolves to press beyond it”. This really seems to be true. What am I passionate about? When I think on that question and then think about weariness and pressing on I see the areas where I press on. My dear husband always says we find time to do what we really want to do. Not only do we find time, we find resources and recruit help if we can’t accomplish it on our own! Where does that passion come from? The Encarta Dictionary defines bestow this way, “to present something, especially something valuable or undeserved, to somebody”. I have talents and I have gifts. The talents I have, I think, are things that I was born with. Maybe things that were passed down to me. Areas that I just seem naturally good at. My gifts were bestowed by God. 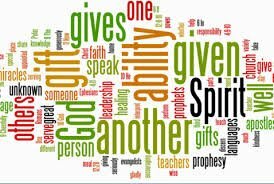 1Corinthians 12: 7 & 11 says, “7 A spiritual gift is given to each of us so we can help each other. 11 It is the one and only Spirit who distributes all these gifts. He alone decides which gift each person should have.” God, The Passion Giver, The Caller, The Bestower. As I mature in my spiritual walk, God bestows different gifts. It seems that at times I excel in one more than the other. God has used me to encourage, teach, lead, give, serve just to name a few. (Rom 12:3-8) I have found that as I become a willing vessel, God increases the level of my gifting and my talents too. I get better in certain areas. Even my talents when dedicated to God and His plan improve. Sometimes God enables me to do something that I cannot do. Maybe something that seems insignificant but special to me. Like arranging flowers. I would love to be able to arrange flowers. That really is one of my life long dreams. I have no natural talent in this area but I have watched, listened, googled and youtubed! So sometimes God allows me to arrange flowers and they look beautiful. During those times I know God decided to help me do something that I want to do but does not come naturally to me. Today I took a spiritual gifts test. It was 85 questions (Oh my word!) to help me see what my spiritual gifts are. I persevered and found the response interesting. I will trust God to help me sort out the tests responses and to understand how and when He wants to use any gift He gives me. If you would like to take a spiritual gifts test, try the one I did. It will not give you all the answers you are looking for (God reserves that for the Holy Spirit. He never wants us to depend on anything more than Him.) but it will give you something to think about. Some of those questions were convicting. On some of them I had to remember that all of our gifts are needed to make the body of Christ (the church) be effective. It’s not necessary for me to have them all! Leave me a comment if you try it and let me know what you think.